Nimble, versatile and powerful. 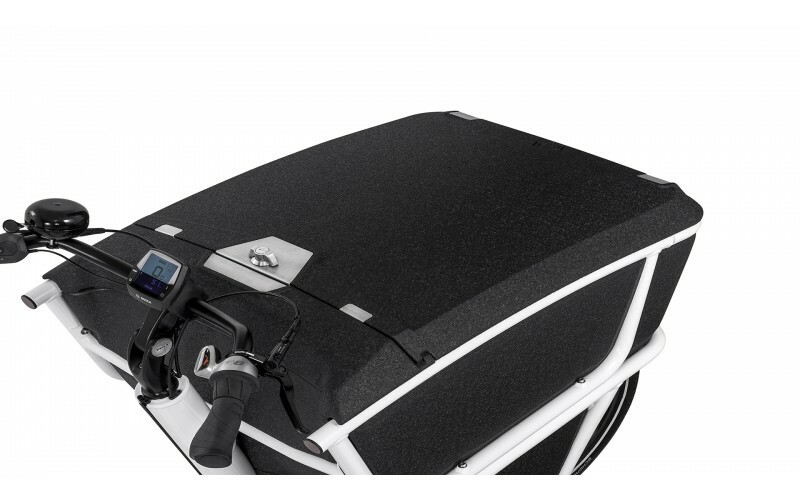 The Shorty is an excellent option for transporting cargo. The award winning Shorty is the perfect bike for the urban multitasker, with places to go, things to do and stuff to take. If your days are filled with meetings, gym sessions and the odd coffee here and there, then the Shorty certainly has your back. Choose between Active Line motor, battery capacity and brakes in the customise section. This is the lightest Urban Arrow out there. Don't let its weight fool you though because it packs quite a nice punch. It's fast, agile and can carry a lot more than you think, which is why we call it a compact giant. The Shorty's box is flexible in use: you can easily bring your child or dog on a trip through the city - or on a quick escape out of town. The accessory range for the Shorty is growing steadily. 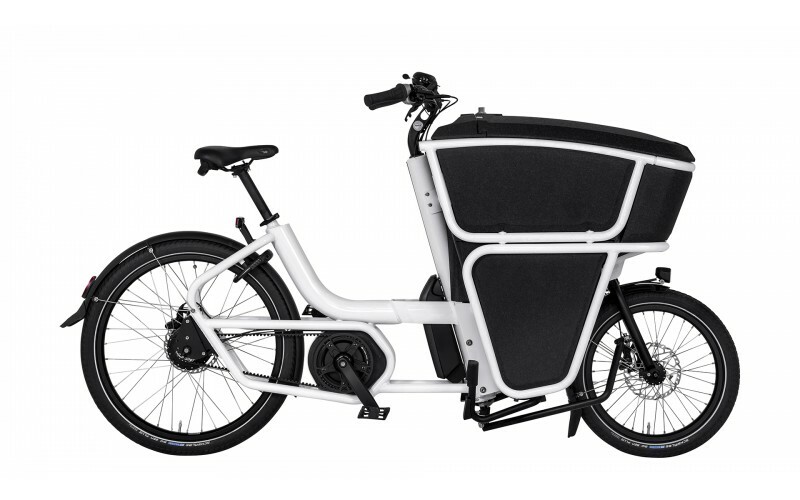 Add the lockable hood and transform this bike into the ultimate courier bike. If that's not versatile, please show us what is. Instead of regular gears on a cassette, the Enviolo allows you to fully adjust the resistance given by the eBike’s gear system. The 360% ratio range is completely internalised, away from the dirt that often gets picked up when riding in poor weather, meaning the gears will last even longer, with less maintenance over time. The Bosch Active Line Motor is a quiet, sturdy and reliable drive unit, it outputs 43Nm of torque, which is good for less hilly cities. The Bosch Performance Line Motor packs a heavier punch than the active line, with torque reaching 60Nm. The CX is the most powerful option available, outputting 75Nm of torque will power you up hills with ease! Wheel Size and Make Front: 20" | Rear: 26"
Custom order, please get in touch for delivery dates. Urban Arrow Family in stock ready to test-ride.